By , 2 years ago. Startup Incubator Gambia has received a grant of $55,000 which is equivalent to D2.5 million from the US Embassy in Banjul meant to support the successful development of the young Gambian entrepreneurs and solidify the incubator’s independence and ensure its sustainability. 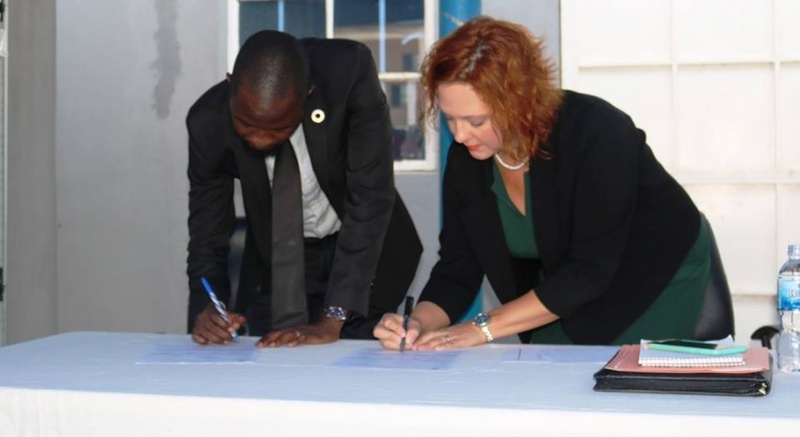 During the signing ceremony held yesterday at the Startup Incubator office in Kanifing, Patricia Alsup, the US Ambassador to The Gambia said she is convinced that through this grant, the incubator will yield better results, greater output and attract more external opportunities. She noted that the United States Government is committed to the economic development of the Gambia. “We are particularly committed to the empowerment of young Gambians especially through entrepreneurship. This commitment is consistent with our belief that through creativity, hard work, and perseverance individuals can improve their own situations,” she said. She said the United States has produced many of the world’s most respected businesses and inspiring business creators, adding that through the Startup Incubator they are working to share the values, skills and best practices that help make American businesses successful. Also speaking, the Project Manager, Alieu Jallow highlighted the achievements registered by the incubator since its inception. He said over the past two years “we have received 600 applications from aspiring entrepreneurs and have supported 62 clients that involved in the areas of agriculture, fashion, technology, education, logistics, health, and services. He further affirmed that Startup Incubator is here to support job creation, reduce unemployment and alleviate poverty. “Our education system really needs to look at innovation and creativity at its core. “To create entrepreneurial revolution calls for building an entrepreneurial ecosystem on the foundation of innovation and creativity. This needs a conducive environment supported by favorable government policies, diaspora investment into the productive sector, an education system that nurtures innovation and creativity, a financial system that deters toxic loans but facilitate growth for startups and business support institutions like incubators that nurture and breed new generation of entrepreneurs,” he said!